Wish, getting an app for the business was as easy as buying vegetables in the market. Just ask how much does it cost, bargain and bring home. Accept it, we cannot live without mobile apps now, right? Everything and anything has a mobile app and why not it is the most convenient thing ever discovered. As per the latest stats of Statista, Google Play store has about 8 million apps, Apple App Store has 2.2 million, there are about 669K in the Windows Store, while Amazon Appstore has 600K. The numbers show their importance in our everyday life. It’s easy to advise someone to get an app developed for their business but when it comes to our own, we fear about the budget and drop the idea. Its true that developing a mobile app requires quite an investment but it will not drain your bank accounts either. In fact, it all depends upon how you want your app to be. Mobile app development may not be in your hands but the budget, definitely, yes. You can control the reins of your mobile app development expenditure easily by following these 4 simple ways, without compromising its quality or ability. Surprised? Check it out. The chances of no similar app to the one you are planning to make is almost zero until and unless you have a totally out of the box idea. Hence, a little homework is a good start. Check out your competitors first and figure out the drawbacks in them. Make sure not to repeat them in your app too. It may seem a time-consuming at the beginning, but doing so will yield you good results in the future. Next is planning. Did you know the reason for the majority of app fails is lack of proper planning? Making a mobile app doesn’t mean it has to do all. List out your requirements first and come to a clear conclusion what exactly you need(and whatnot). Just to make it appealing, never try to make your app do things which have no connection at all with your business. Sit along with your mobile app developer, brainstorm, make a full-proof plan, mention the costs of each task, sketch it out, set a time frame and then press the start button to work on it. Users are out there in all platforms, Android, iOS, Windows, and others using all types of devices. Just because they are everywhere does not mean you too have to make your app work on all. Each platform and device has its own list of possibilities and difficulties. 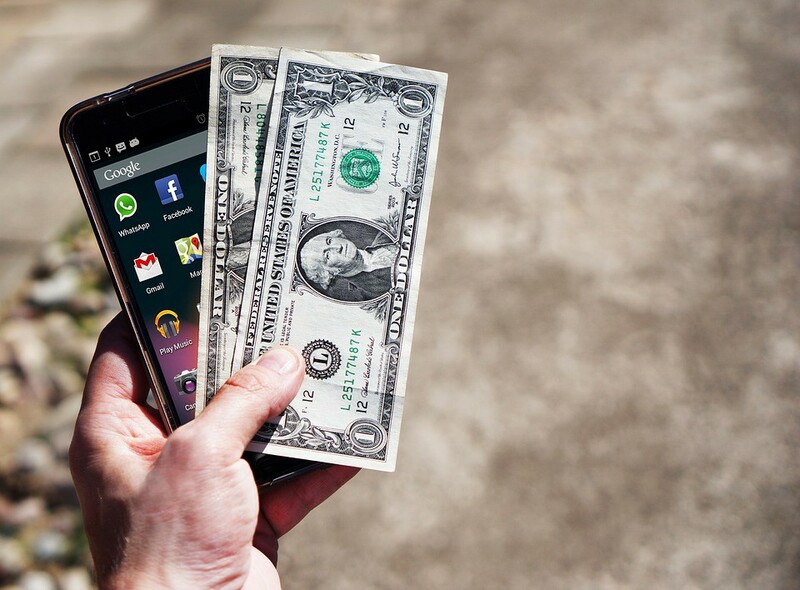 Instead of showing greed for all, start with choosing the one right platform for your app. Conduct a survey to find out which platform is your targeted customers using the most and make your app available on it. Yes, it is true that cross-platform mobile app development can save you good as you won’t have to hire and develop again for another platform, but, it is only possible if your app is not a complex one and doesn’t require any hardware integration or native interface. So before proceeding, confirm with your developer whether your app is suitable for cross-platform development and if its implementation will affect the performance of the app or not. If its a positive nod from the development team, the saving is yours. A high-end user interface, graphics, and animations all are tempting, but this ornamentation can cost you a lot. In fact, such features slow down the functionality of your app. On the contrary, in order to save your money don’t make your app look bland either. Focus on which features your app need and make them look simple and minimal. Try MVP. Test it. Gather the feedback of your users. Let them decide and request what is important to them. Also, keep in mind the well-defined guidelines of Google and iOS store to get the UI/UX of your app certified. After all, the more the easier and user-friendly the app is, the better. Developing something from scratch can be pricey. There is nothing wrong in trying free to use, pre-built frameworks and modify them as per your requirements. There are third-party agencies who provide such frameworks at nominal rates. For instance, use plugins to improve the functionality of your app instead of wasting time developing it from the scratch. Developing everything in-house gives you more control, but if the budget is tight, then outsourcing is a better option. Handing over your development task to an expert will cut down your cost as well as provide you other benefits like; a chance to work with well-experienced app developers, you get your development done in a fixed time frame and you only have to pay for the working hours spent on developing the app and not a single penny more or any high-fixed salary every month. Sounds great, isn’t it? App development may seem a petty thing but it is a bit costly and if you just toss it to someone without any groundwork, you will only end up paying more and more rather than receiving expected outcome. The above 4 ways are easy and simple to implement in your cost-cutting mission of mobile app development and along with money, you will even save quite a load of time which you can invest in other things maybe research on ideas to market your app. Any other hack or tip you want to share with our audience? Please share it in the comment. Yuvrajsinh is a Marketing Manager at Space-O Technologies, a firm having expertise in custom mobile app development. He spends most of his time researching on the mobile app and startup trends. He is a regular contributor to popular publications like Entrepreneur, Yourstory and Upwork. If you have any confusion, or question, or need any consultation regarding the mobile app development process, feel free to contact him. 4 core steps to cut down the app development cost was originally published in Hacker Noon on Medium, where people are continuing the conversation by highlighting and responding to this story.